Home › News › An improving judicial system? I wrote in a previous column that the World Economic Forum (WEF) had just released the 2011-2012 edition of the Global Competitiveness Report. 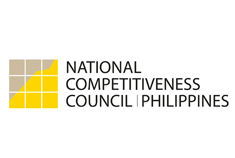 The Philippines went up by 10 notches from its year-ago rank in global competitiveness. Our modest gain, however, is dwarfed by our low scores in many areas compared with our Asean neighbors. As a lawyer, I’m particularly concerned with our scores on three areas—judicial independence, efficiency of legal framework in settling disputes, and efficiency of legal framework in challenging regulations. In all three areas, the Philippines scored very low among Asean countries that were included in the survey. The Philippines scored the lowest (2.9) on judicial independence among Asean countries. The score means that our judiciary is perceived to be quite heavily influenced by members of government, citizens or firms. Cambodia ranked better than us with a score of 3.1. Indonesia and Malaysia did a lot better with a score of 3.6 and 4.7, respectively. The Philippines is perceived to be the worst in the Asean in this area with a score of 2.9. What is more disconcerting is that, over a four-year period (2008-2012), Vietnam improved its rank from 70th in 2008-2009 to 65th in 2011 and Cambodia by 12 notches, from 109th place in 2008 to 97th in 2011-2012. The Philippines, on the other hand, slid from 71st to 75th in the same period. The efficiency of our legal framework in challenging regulations is also perceived to be the worst in the region. Our score of 2.8 is way below the median score of 3.3. Even Cambodia, a fairly new member of the Asean, has outscored us with a rating of 4. Our extremely low score in this area requires particular attention considering that our regulations are rated the most burdensome in the region. But wait. There nonetheless seems to be light at the end of the tunnel. A closer analysis of the 2011-2012 report indicates that we have done well in the three areas over the previous year (2010-2011). The Philippines went up by 10 notches in judicial independence over the previous year. Our rank went up from 85th to 75th. The same holds true for efficiency of legal framework in settling disputes. We went up by 10 steps from 85th to 75th. In the area of efficiency for challenging government regulations, our score also went up by 10 steps from 85th to 75th. Coincidentally, the 2011-2012 report covered the first full year of Chief Justice Renato Corona. The assertion of judicial independence during the Chief Justice’s first year in office, coupled by some initiatives to improve the judicial system, certainly contributed to the improvement of the scores in the three areas. Indeed, this improvement is a significant achievement for the Corona court. Let me explain. The data show that our ranking in the three areas has a direct correlation to our overall ranking in global competitiveness. In other words, our overall ranking in global competitiveness goes up or down by exactly the same notches (in fact, the same rank number) that we go up or down our ranking on these three areas. To illustrate, in the 2011-2012 report, we improved 10 steps in the three areas over the previous year, which was the same improvement in our overall competitiveness ranking. Our rank in the three areas went up from 85th to 75th and that was exactly the rise in our overall rank in global competitiveness. In 2010-2011, we went up over the previous year by two notches (rank 87th to 85th) in the three areas and overall ranking in global competitiveness also up by two notches (87th to 85th). In 2009-2010, we went down 16 notches (71st to 87th) in two out of the three areas and the country went down by 16 notches in global competitiveness in the same survey (71st to rank 87th). As a matter of fact, the same trend can be said for the other Asean countries over the four-year period. Could this be the reason why the Chief Justice is keeping the distance of the court from the Palace? You may have your own guess, but mine may be better than yours—at least this time.